The chief executive of Singapore’s sovereign wealth fund Temasek seems to support a forum letter writer’s suggestion that it is better to put one’s CPF savings in a bank account instead of withdrawing it. 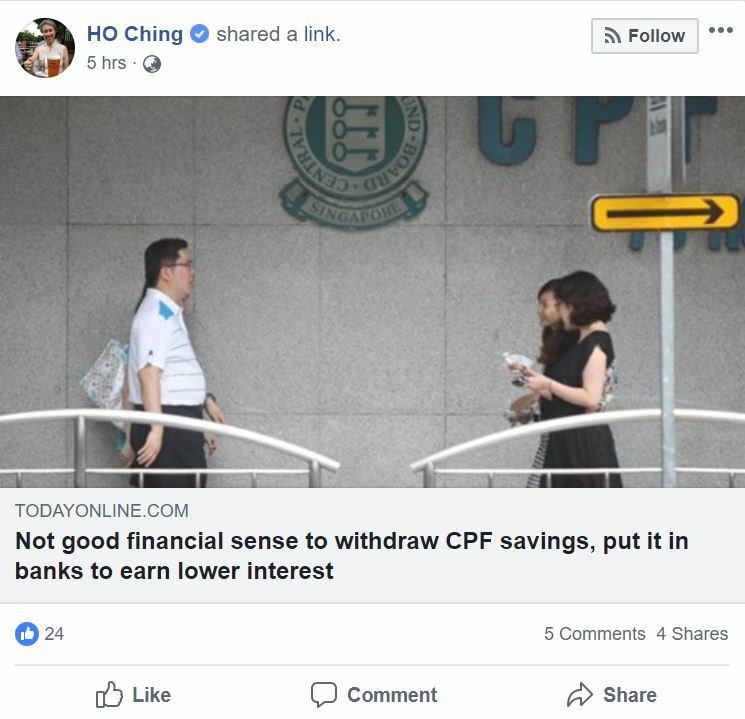 In a letter published by TODAY, letter writer Gan Kok Tiong referred to CPF Board’s recent analysis of withdrawal trends that show that 58 per cent of those aged between 55 and 70 have withdrawn cash from their CPF savings since they turned 55. The withdrawal trends CPF studied came from a survey involving 7,200 members between the ages of 55 and 70 and showed that 6 in 10 CPF members above the age of 55 withdrew their part of their savings in a lump sum like they are allowed to do under existing rules. CPF Board found that 51 per cent of these members left their savings with banks and finance companies while 40 per cent of these members spent their cash on household expenses, to pay off loans and on big expenses like their children’s education. 20 per cent of those who chose to withdraw their savings spent their money on purchases like home renovations or vacations. 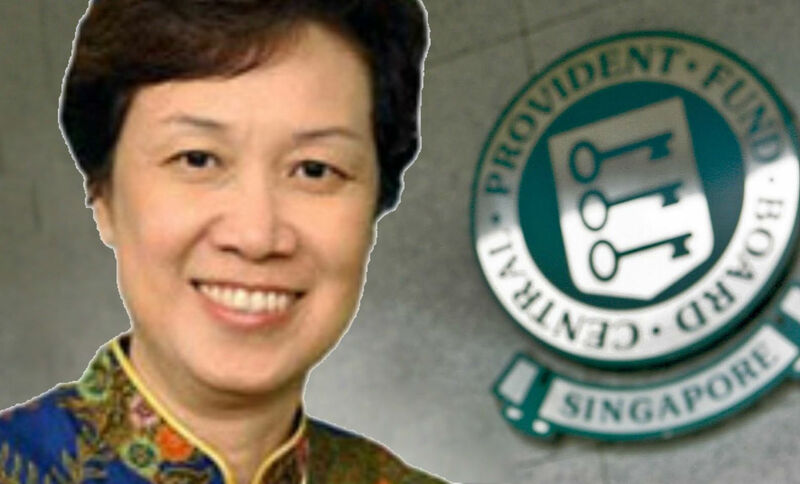 CPF further said that the 4 in 10 members who chose not to withdraw their savings may have done so because the CPF Board offers higher interest rates than banks. 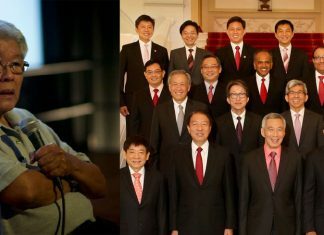 Temasek CEO and Prime Minister Lee Hsien Loong’s wife Ho Ching appears to agree with the letter writer’s suggestions as she shared the forum letter on her Facebook page, this afternoon. Earlier this year, in June, Ho Ching claimed that “we need to supplement CPF” as she urged investors to invest in Temasek’s first retail bond to boost their retirement income. She added that Temasek realised years ago that people in Asia typically live longer with improved economic growth and that one of the key challenges is planning and funding retirement. Interestingly, just a day after Ho Ching implied that there is a need to supplement CPF, the press secretary to the Minister of Finance wrote in a forum letter that CPF is “adequate” for most Singaporeans – so long as they don’t live longer. Press Secretary Lim Yuin Chien pointed out that while CPF is “adequate for most Singaporeans, and Silver Support will help top up for those who did not earn much while working”, it may not be enough as people live longer. Lim’s careful statements seem to imply that he believes the CPF scheme is sufficient for most Singaporeans but may not be enough for Singaporeans who live longer. Those who live longer, thus, would need to supplement their retirement income to meet their needs in old age – this is similar to what Ho Ching and Temasek seem to think.